Becoming a CNA requires a certification, and which state you’re in will dictate the requirements to become a CNA to some extent. The training required to become a CNA is similar from state to state. The training is similar due to the Omnibus Budget Reconciliation Act of 1987 which set minimum standards for Nursing Assistant training. One of the main differences in how one gets CNA certified from state to state is the required training hours in an accredited CNA program and the required clinical hours. Minimum training hours are federally mandated at 75 hours, though some states require as many as 180 (Maine). Additional differences from state to state include the number of questions on the written portion of the CNA exam and the amount of time allotted for the exam. Further, the clinical skills test may require certain skills be demonstrated while other states may not. 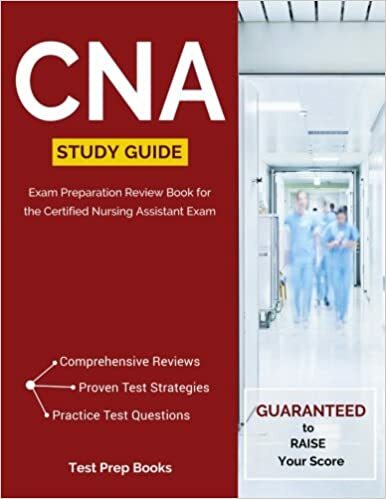 If you’d like to practice up for the CNA certification exam and the skills test, CNA Free Training provides a number of resources including our free CNA practice test and our guide to acing the CNA skills exam. The table below highlights the different skills tested by provider, with required skills highlighted. Another CNA site has a comprehensive list of state by state requirements, approved training programs, and additional information on items like continuing education for CNAs. The links below will take you directly to the individual state pages. Beyond the technical ins and outs of CNA training and the certification process there are also a number of other concerns people have as they look to successfully complete the CNA certification process. We’ll do our best to provide those answers below. How long does it take to become a CNA? How long are CNA classes? As the chart above illustrates, the minimum required classroom hours to become a CNA is 75 hours, and a maximum of 180. This is usually accompanied by two weeks in a clinical setting (the hours there may vary slightly as well). Typically, the entire program will take roughly 4-12 weeks to complete. What is the cost of CNA certification? The cost of your CNA certification depends on a number of factors, the main one being the cost of your CNA training classes. Estimates for the average cost of training is around $1,300, though that could be high or low depending on your location. Fortunately, there are a number of ways to knock down this figure through scholarships or by finding a free training provider. We have a massive database of training centers in each state that provide free CNA training. Follow that link and select your state to find a location that offers free training near you. Many medical centers and nursing homes will offer to pay for your training and certification with an agreement that you will work for that organization for a set period of time after you achieve your CNA certification. Beyond that, there is typically a fee paid to take the CNA written exam and skills test. On average, you can expect this cost to be around $100 to $150 for the application fee and the examination fee. What do I need to know about CNA recertification? Once you’re certified as a CNA, you’ll need to be recertified periodically to maintain your licensure. If you don’t renew your certificate before it expires you’ll have to pay a delinquency fee. Whether you’re going after a CNA renewal or recertification the process is basically the same. Complete the CNA renewal form. You should receive this four months before your certificate expires. If you change addresses or don’t receive the form, contact your state’s registry to obtain the form. You must complete this form to begin the recertification process. Completion of continuing education requirements (often this is 48 hours of continuing education for every two years). This will typically cover items like domestic violence, patient rights, medical record documentation, and first aid. Pass a routine background check. This will usually check for things like felony charges, which could pose problems in the recertification process. Check your renewal status online to make sure you have been recertified/renewed. A couple more notes on CNA recertification. Most states will require that you prove you have worked as a CNA at some point in the previous 24 months leading up to your renewal. Many employers will pay for continuing education courses, so be sure to ask your employer about this to save yourself those costs. If you’ve read this far you’ve clearly got an interest in becoming a CNA. The following links will provide you a tremendous amount of information on things like preparing for the CNA written examination, how much to expect from a CNA salary, finding places where CNAs can work (like nursing homes), putting together a CNA resume, and what to expect from CNA interview questions.